New York, NY (Top40 Charts) Brooklyn, NY's Stringer have released a video for "Ghosts," the first single off their upcoming full-length album "My Bad," which will be released digitally on July 13th via Wiretap Records. The clip, directed by Chris Elia was shot on the streets of NYC and features cameos from their friends in the So So Glos and others. A brief synopsis: In the wake of a sustained and soused misadventure, the Stringer crew takes a trip down memory lane and experiences the joys of Chinese food and aromatic hydrocarbons in an industrial park on the South Brooklyn waterfront. Of the video, singer Max Kagan tells PopMatters, "I was cold, I was wet. My mouth tasted like an ashtray filled with the butts of a thousand cigarettes and yet, on the South Brooklyn waterfront, in an industrial park, I kissed the glorious fish mouth of God and found redemption." 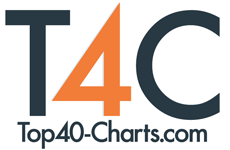 Check out the "Ghosts" music video on Top40-Charts.com! "Ghosts" is also streaming on Spotify. "My Bad" was produced by Adam Reich (So So Glos, ex-Titus Andronicus). As one of the resident "house bands" at the beloved-- recently closed-- NYC underground venue Shea Stadium, Stringer (known in a previous incarnation as Heeney) has been active in the Brooklyn DIY scene for several years (most recently featured in the Rolling Stone doc 'DIY in NYC'). Over the years, the band has played shows with the likes of Titus Andronicus, So-So Glos, Porches, Speedy Ortiz, Slothrust and SWMRS to name a few. Max Kagan & Mark Fletcher, both native New Yorkers, met on 12/12/12 during a 24-hour long noise show at their beloved hometown venue/clubhouse Shea Stadium. After joining forces with powerhouse drummer Johnny Spencer, the three have been making music under various names ever since. The most refined & fully-formed version of that collaboration can be found in the form of Stringer, who, with the addition of Riley Zimmer (bass), have been a band since late 2015. Stringer likes eating ethnic food & drinking at old man bars that open at 8am. The Vamps Announce New Single "Just My Type" Out Now! Skeletonwitch Unveil New Single "When Paradise Fades"